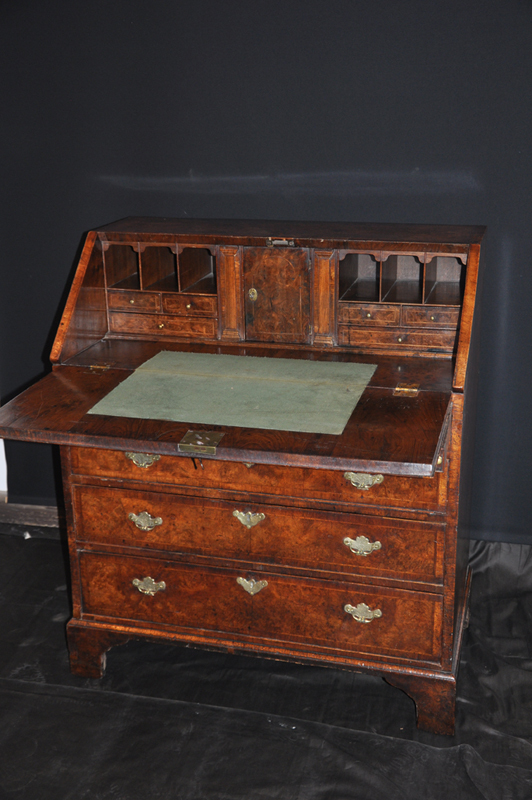 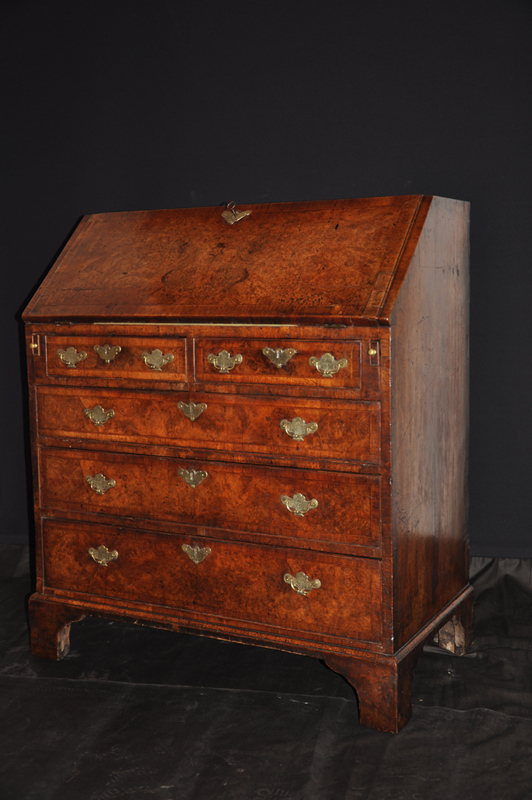 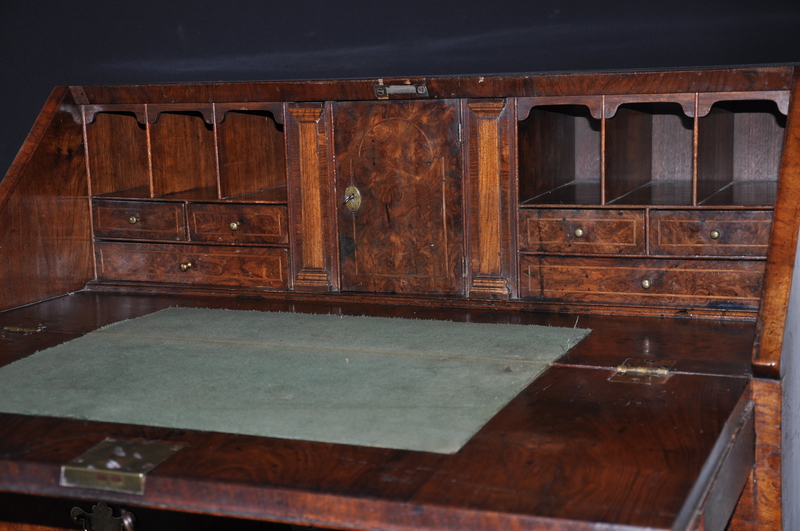 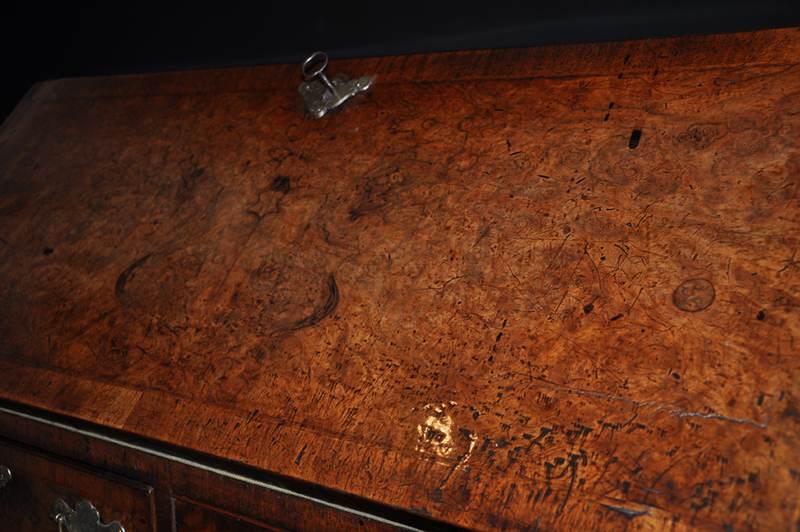 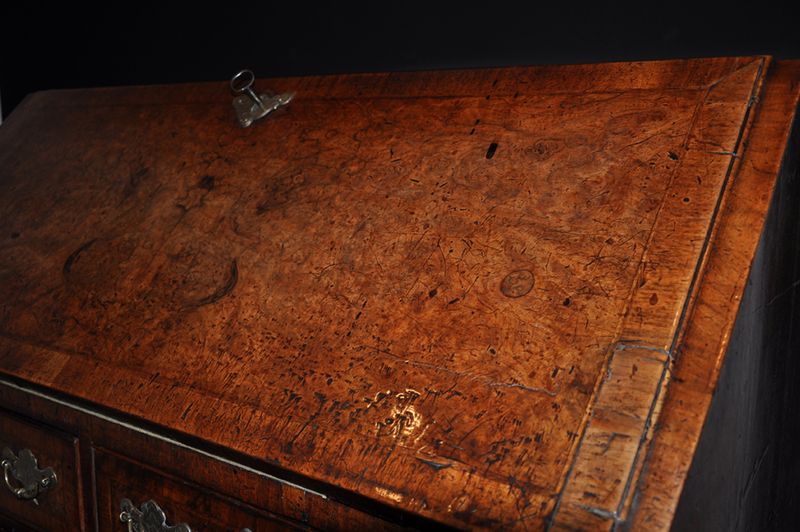 A Fine Early 18th century Burr Walnut Bureau of superb colour and patina. 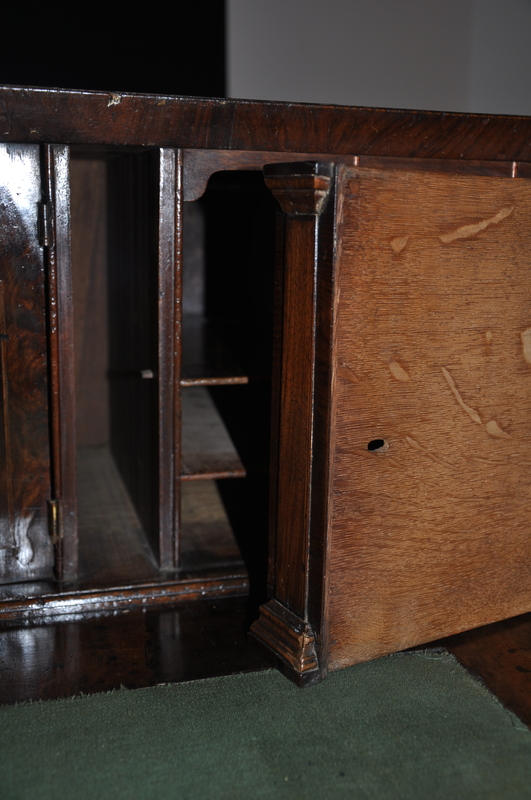 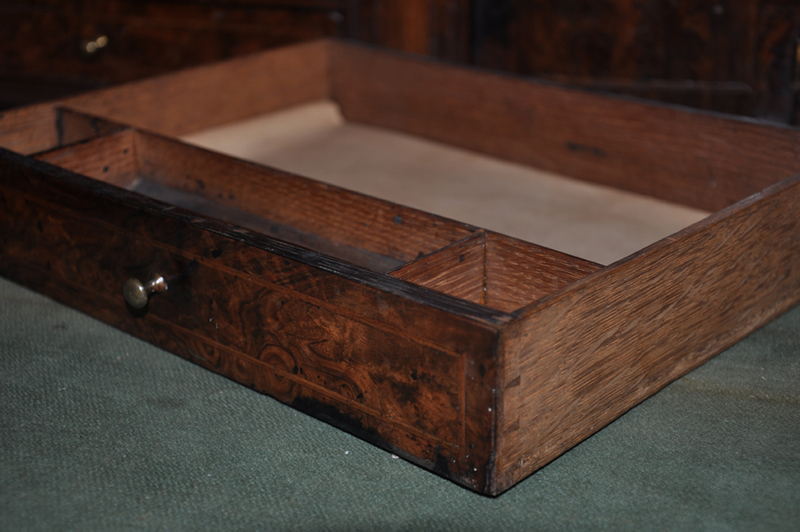 With secret drawers and lock for the pilasters that flank the burr walnut central door. 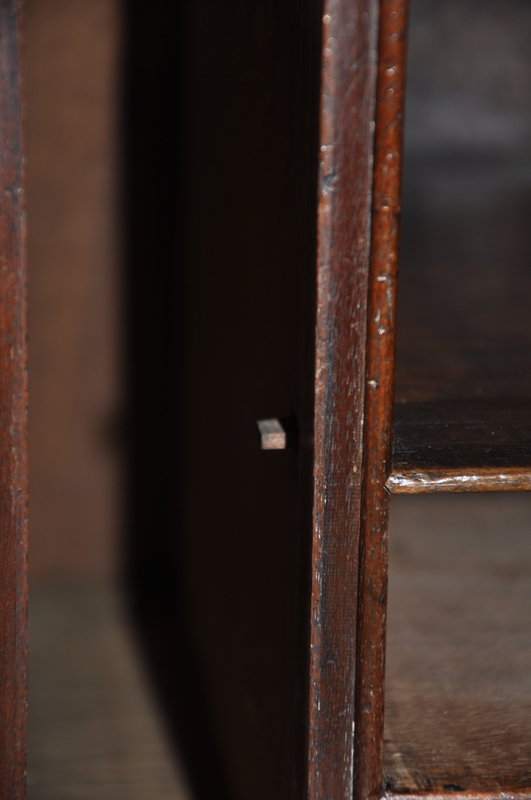 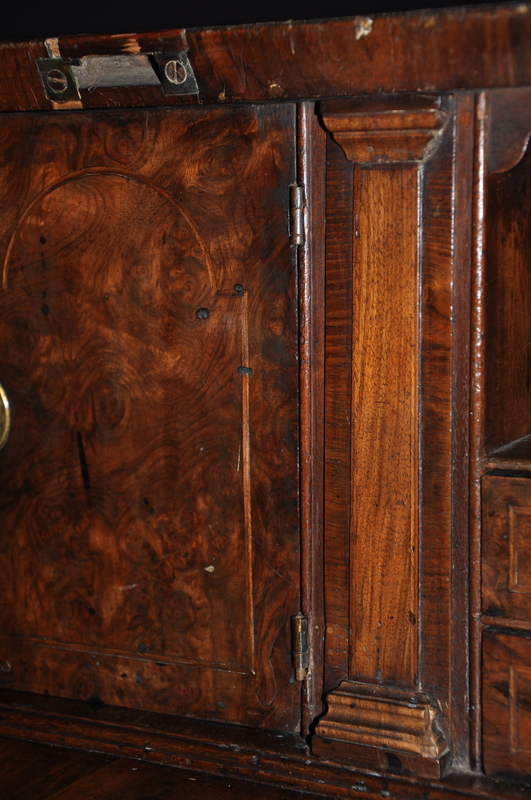 You can operate this lock by removing one of the small drawers next to the pilaster and sliding a hidden sliver of wood across to lock it in place. 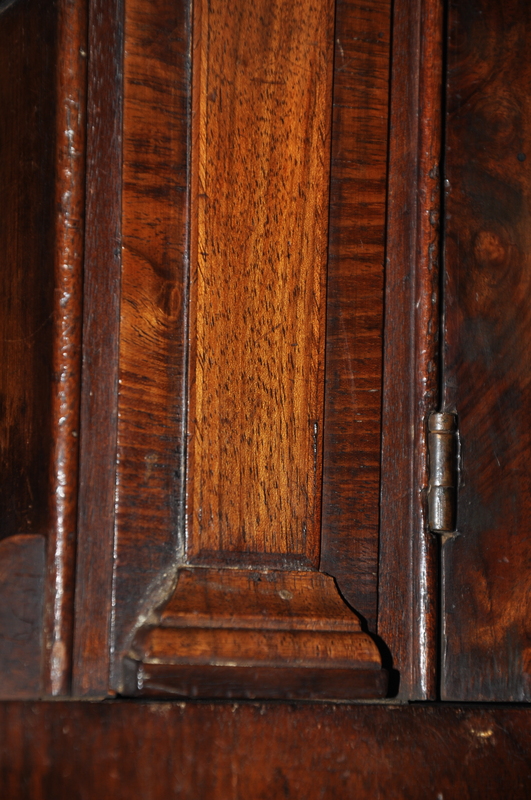 The handles are replaced in keeping with the period. 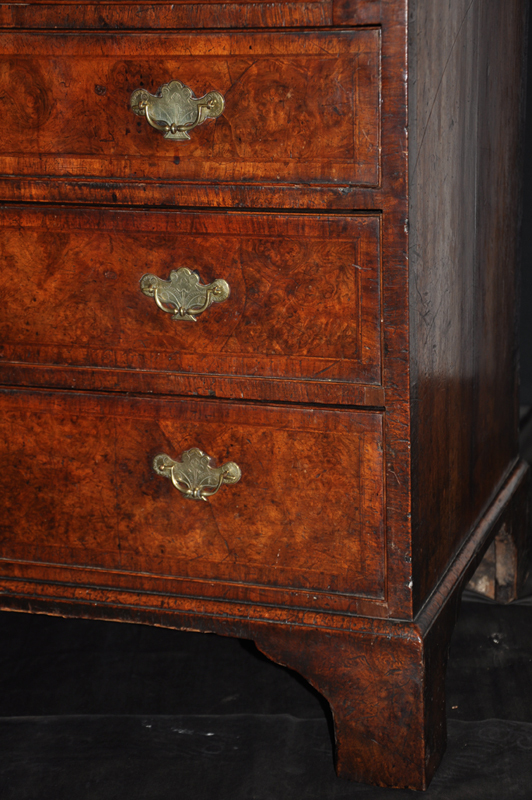 The figure and tight burr configuration particularly that of the fall is quite wonderful.The colour and condition of the piece is how we like to see walnut of this period.